Foursquare got an awesome update just a few days ago, and now it has received a small update bringing the current version up to 5.0.1. The changes are small so don't get too excited. Head into App World to grab the latest version. If it is not showing on your device make sure you refresh your applications. 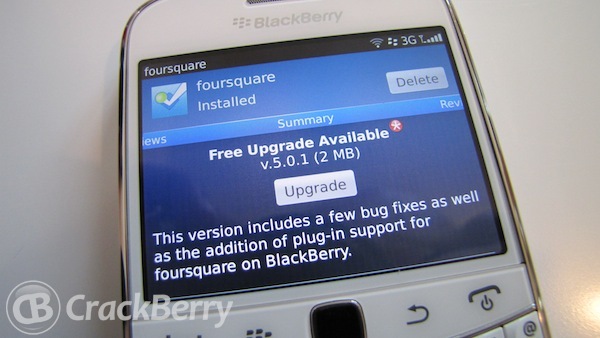 The fixes in this version include bug fixes and the addition of plug-in support for BlackBerry on Foursquare.